This week's upcoming IPO calendar features three deals expected to raise a combined $288 million. Line Corp. (NYSE: LN) owns the eponymous smartphone messaging app. With roughly 218 million users, Line is the most popular mobile messaging platform in Japan, Taiwan, and Thailand. The company was founded after Japan's massive 2011 earthquake and tsunami when people couldn't call or text anyone due to the country's damaged telecom infrastructure. 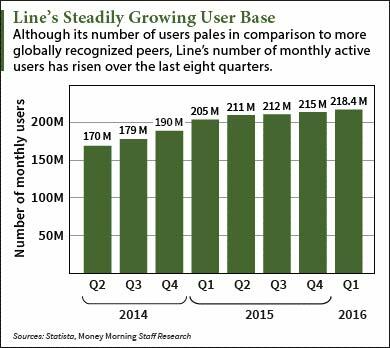 Despite its dominance in southeastern Asia, Line is still the underdog in an increasingly saturated market. Its user base is dwarfed by the combined 1.9 billion people who use Facebook Inc. (Nasdaq: FB) owned WhatsApp and Messenger as of February. However, Line has seen quick growth over the course of its five-year run. It already generates revenue by selling in-app games and animated stickers that customers can use and send in messages. From March 2015 to March 2016, the company posted $1.1 billion in sales. According to Renaissance Capital, a manager of IPO-focused ETFs, the Line IPO will raise $928 million by selling 35 million shares at a $25 to $28 price range. That will make it the biggest tech IPO since Alibaba Group Holding Ltd. (NYSE: BABA) made history with its $22 billion debut in September 2014. Line is valued at $6.1 billion and will reportedly start trading on Thursday, July 14. PSAV Inc. (NYSE: PSAV) provides audiovisual (AV) services for upscale and luxury events at more than 1,400 hotels, convention centers, and resorts. With a 46% market share, PSAV is the largest AV services company in the United States that specifically works events held in upscale hotels. The company recently secured several long-term contracts with four of the country's biggest hotel chains, including Fairmont Hotels and Resorts. From Q2 2015 to Q1 2016, the company earned $1.5 billion in sales. The PSAV IPO is set to generate $250 million by offering 16.13 million shares for $14 to $17 each. It has a $1.1 billion valuation and will hit the market on Friday, June 17. Paragon Commercial Corp. (Nasdaq: PBNC) is a chain of three regional banks all based in North Carolina. The company focuses on traditional local banking and boasts roughly $1.3 billion in assets. Shares of Paragon already trade on the Pink Sheets under the same ticker (OTCMKTS: PBNC) and have gained 28.1% this year. 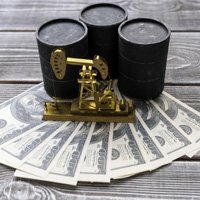 The company is set for a $25 million deal by selling 736,000 shares at a price range of $33 to $35. Paragon commands a $182 million valuation and will debut on Friday, June 17. Viveve Medical Inc. (Nasdaq: VIVE) sells medical devices geared toward improving women's sexual health. Viveve sells its products in 22 countries and each costs about $38,000. The company will raise $13 million by selling 1.56 million shares for $8 each. The $73 million company has not announced an official IPO date, but it's expected to start trading sometime this week. Alex McGuire writes about upcoming IPOs for Money Morning. Follow him on Twitter to receive news on the biggest IPOs of 2016.